Wishing All visitors to WONDERFUL MUMBAI a VERY HAPPY DIWALI and a PROSPEROUS NEW YEAR SAMVAT 2069. 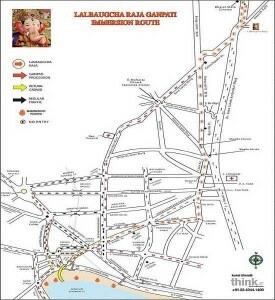 LAKSHMI POOJA auspicious puja muharat (time) in Mumbai City is 7:02 pm to 7:30 pm on 13 Nov, 2012. Marine Drive, Mumbai Chowpatty Beach, Shivaji Park, Juhu Beach, Thane Talao Pali Lake are the best places in Mumbai to enjoy Diwali. After Laxmi Pooja, families come to these open spaces to burst fire crackers. The variety of fire crackers burst at these locations is a feast for the eyes. It’s heartening to note that people from all faiths come to these popular places to burst fire crackers. Mohammad Ali Road, near Mumbai’s wholesale market of Crawford market, is the best place in Mumbai to buy fire crackers at a bargain price. During Divali, many temporary fire cracker stalls are set up on the pavement. Go there in the evening when the vendors are trying to offload all their stock and you can get a good price for crackers. Negotiate and haggle on price since this is a buyer’s market. Many small vendors and general stores all over Mumbai sell fire crackers during Deepawali. Bombay’s Crawford market offers the largest variety of electric decorative Diwali lights at the best prices. Crawford market is also a good place to buy cost effective “Diyas“, “Deepak“, Diwali “Rangoli“, Diwali decorations and Diwali Lanterns. Ingredients for the Laxmi Puja (also called “Varalakshmi Puja”) and Ganesha Pooja can easily be found outside most large Mumbai local stations which have street markets, such as Goregaon, Malad, Dadar, Borivali, Elphinstone Road, Parel, Grant Road, Byculla, Kurla, Thane, Mulund, etc. Statutes, Idols or Pictures of Goddess Laxmi, Goddess Saraswati and Lord Ganesh. Gold and/or Silver coins: An offering to Goddess Lakshmi, the Indian deity of money and prosperity. Hindu Prayer Book: The Diwali prayers or Pooja starts like most Hindu religious ceremonies with a prayer to Lord Ganesh, who is the Hindu God of wisdom, good luck and the remover of obstructions. 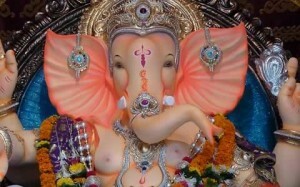 The Lakshmi prayer follows the Ganesh Pujan. Prasad: Sweets, dry fruits and fruits which are offered to the deities and then distributed to family and friends. Kalash: Round utensil with a flat bottom (“lotta”) decorated with a “Swastik” symbol. Panchamitra: Mix of 5 ingredients (milk, ghee, honey, sugar, yogurt/curd) is used to wash the Statues of the Gods. Rice: on which the idols or pictures of Goddess Laxshmi, Saraswati and Lord Ganesh are kept. Coconut, Rice: As offerings to the Hindu Gods and Goddesses. Betel Leaves and “Supari” (Betel or Areca Nut): Betel leaves and nuts have traditionally been used by Indians to welcome guests. Offering it to the Gods, symbolizes acceptance of the Gods. Mouli (or Kalalava): sacred red thread which is tied around the wrist. Diya (“Deep” or small earthen pot with a wick) and Incense sticks (“Agarbatti”): The “Diya” or “Deepak” are lit with ghee. Flowers and garland: To shower on the Gods. Mango leaves, Banana leaves: Some use mango leaves, others banana. Account Book: Traders usually inaugurate a new account book. Place “Aarti” (prayer) ingredients in a plate. These include, Sindoor, little Prasad, turmeric, a diya, incense stick, gold/silver coins. Clean the alter/temple where the idols/statues/pictures of the Gods will be kept. Decorate alter with the mango/banana leaves, garlands, flowers. Wash the idols/statues and the gold/silver coins with water and “Panchamitra”. Put rice and on top of that place the “Kalash”. Fill the “Kalash” half way with water. Place a betel nut in it and cover with betel leaves topped with a coconut. Make a “Swastik” on the “Kalash” with the Sindoor and “Kumkum“. Light the diya and incense sticks and start with the Ganesh Puja. Tie the “Mouli” thread around the wrist of all present (left wrist for ladies and right for men). After the Ganesh Pooja, perform the Deepavali Laxmi Pooja. First offer the Prasad to the Gods and then share with family and friends. Using the Sindoor and rice, apply “Tilak“(mark) on the forehead of all present. The spirit behind the Diwali Puja is more important than ensuring all the ingredients and all the rituals are followed. 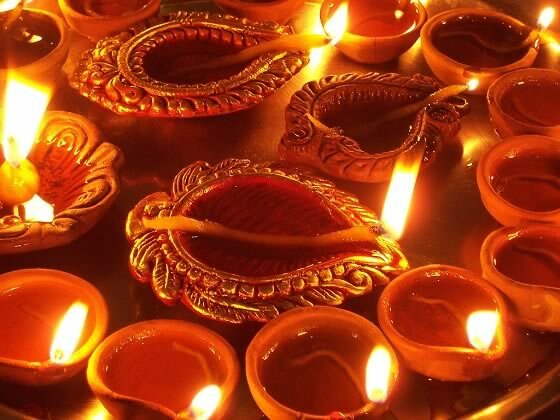 Do not worry if you miss out any of the components of the Diwali prayer.